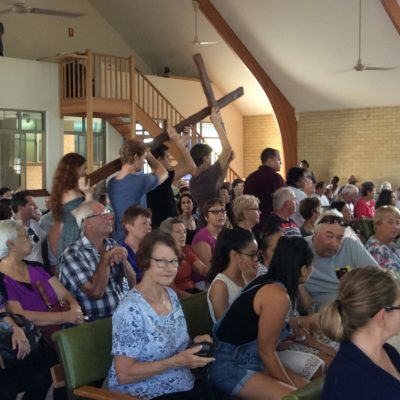 Carrying the cross into Burleigh Heads Uniting Church. Walking between Infant Saviour Catholic Church and St John’s Anglican Church. The clergy from the 3 participating Burleigh Head churches. 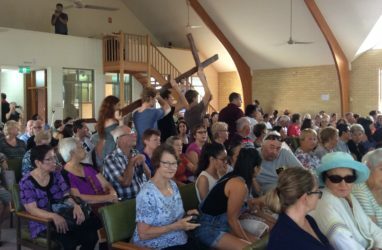 It was an inspiring morning on Good Friday with the congregations of the three Christian churches in Burleigh Heads joining for the Stations of the Cross. 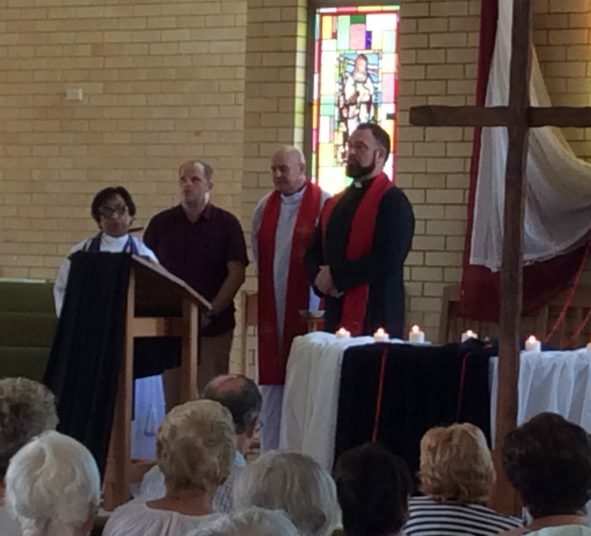 The first four stations were celebrated with Fr Morgan Batt at the Infant Saviour Catholic Church, the next four with Rev Eron Perry at St John’s Anglican Church and the last four with Rev Veneeta Singh-Lucas and Rev Ralph Mayhew (Village Church) at Burleigh Heads Uniting. It rained on the walk between the first two churches but not enough to dampen the spirits of the participating congregations. It was a moving and enjoyable experience.